Do you have a smartphone that runs on Android Nougat? Unless you've bought a device that comes with Nougat already integrated, you can expect to wait several months before you'll be able to take advantage of its features. Meanwhile, the first Android O Developer Preview has already made an appearance… But does anyone really care? Android O: what’s in store for us? It was a pleasant surprise when the Developer Preview of Android O was unveiled two weeks ago. 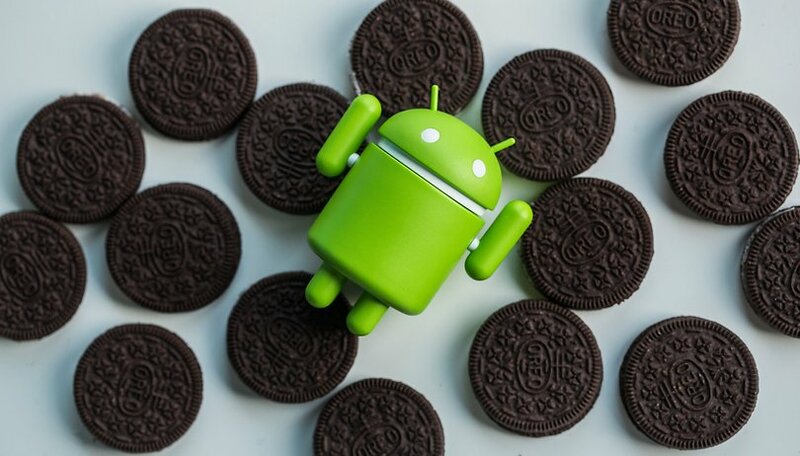 The official name for the Android 8.0 version is still unknown (although the name ‘Oreo’ has been mentioned a lot), however, we have been able to get a first insight into its features which, as usual, won’t necessarily be included in the final version. The settings have been changed again and the ability to open the main menu with a swipe from anywhere on the screen has been removed. Furthermore, various elements have been simplified and some options, such as User and Account have been merged. Notifications are now sorted by type, which allows users to manage them more freely. Text message back-up has made an appearance and allows current app information to be stored. The file browser can now be accessed much more easily: just click directly on the app instead of navigating through the settings. Google has also thought of resource and performance consumption and has decided to apply a limit to apps that run in the background. This is a small touch that a lot of users will appreciate. In addition to this, Picture in Picture, which seeks to improve multi-tasking abilities, has also been included. In addition to this, there are icons that adapt according to the device’s interface, there's improved connectivity (supported by LDAC codec) and optimization of the capacitive button to act as a return button as well as for multi-tasking, which we still don’t know any more about for the moment. Google is trying to improve its software for users and doesn’t just want to release another version of Android. The next Developer Preview will arrive mid-May at the Google I/O a,d at this event, in addition to learning more details about Android O, the beta program could launch. The new features seem interesting, and they’ll debut with the release of the final version, but that’s not the issue. There’s another problem: who really wants to hear about Android O now? Without a doubt, it’s the Android fans, tech journalists and developers that are most interested in the topic. However, the majority of users are still waiting to receive Nougat on their smartphones (and some will never get it because, unfortunately, they don't own a top-range phone or they own an old smartphone) and so aren’t particularly drawn in by the first details of Android O. Why should they be? Some users that own an Android smartphone haven’t got the slightest idea what version it runs on… I’m not talking about you, the person reading this article, but if you ask around, you’ll discover that a lot of people have no interest in these details. As you know, this fragmentation is one of the Android universe’s main problems. Google and its Android device manufacturers have their shortcomings, but it’s the users that suffer the consequences, the same people that are ready to pay despite the odds to buy their smartphones. It’s a shame that the American giant doesn’t repay you for your loyalty. Is Google really trying to get to grips with Android fragmentation? The outcome could have been different if the software updates were launched simultaneously across all Android devices following the official announcement. It’s interesting to get an idea of new features and optimizations that Google are working on but given that these won’t become a reality for another five months, it’s hard to maintain our enthusiasm. This is the reason why, as a writer, when I have to write the first articles about Android O, I felt guilty towards you all, all you users who have been waiting for months for Nougat, or worse, those who will never receive Nougat on their device. However, on the other hand, we can’t ignore developments in the Android world, and who knows, maybe soon we’ll be talking about faster updates that are available to everyone. Or even better, we’ll not be talking about it anymore because the problem will cease to exist. While waiting on concrete action to be made by Google, I’m turning to you and I want to know: are you currently interested in the changes presented by Android O? What do you expect from the next Google I/O? I care cause I'm looking to upgrade this year. Not sure to what, but I definitely know what I won't be upgrading to, the S8. Starting to lean towards the mid tier with the exception of the LG G6. But it's true what you all have said, most Android users don't know what version of security update they have. 🙄 But if I'm going to upgrade I'm going to make sure that I can Get at least two OS update cycles. Same for me, my current daily driver will stop being updated end of this yr, no idea what I'm gonna get to replace it, certainly not the S8.. probably a Moto or Nokia.. When 'O' it will be available via android Beta program? I personally liked picture in picture mode from the new update. Waiting for the official build of "O". it's​ just that the folks i know who are using android don't..
and does it really matter if you're happy forever stuck on marshmallow, or that most folks aren't even aware of monthly security updates​. Anyone who knows and cares what version of Android is on their phone definitely will care about Android O. Even if my phone hasn't got the Nougat update (which it hasn't), I definitely am interested in O because won't I in the future have a device running O? The possibility that by the time my device runs O there's a P or a Q already in the market won't take away from this basic premise. It's a big deal, when it gets here. There was a time when a new version was mentioned , that the news about it didn't take up all of the recent articles. I want news about what is currently used now(7.1.1). Where is the news about the hidden feature in nougat, that wasn't discovered, until now(nav bar customization), it was always there. Oh, and the samsung s8 news is getting out of hand too, but these websites are treating it, as if it's the only android phone out there(it just took the space of pixel news every day). Sometimes , getting stuck on one thing, can make a website boring..